This week we are becoming Chefs! 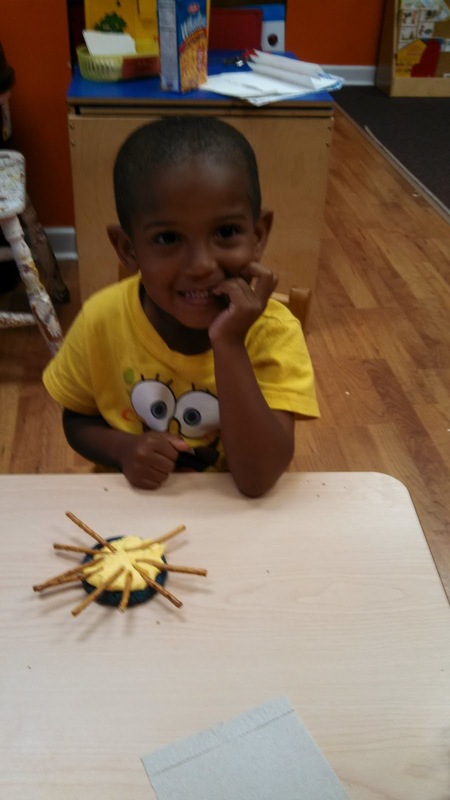 We have done all kinds of cooking projects and even used FOOD to make beautiful artwork! 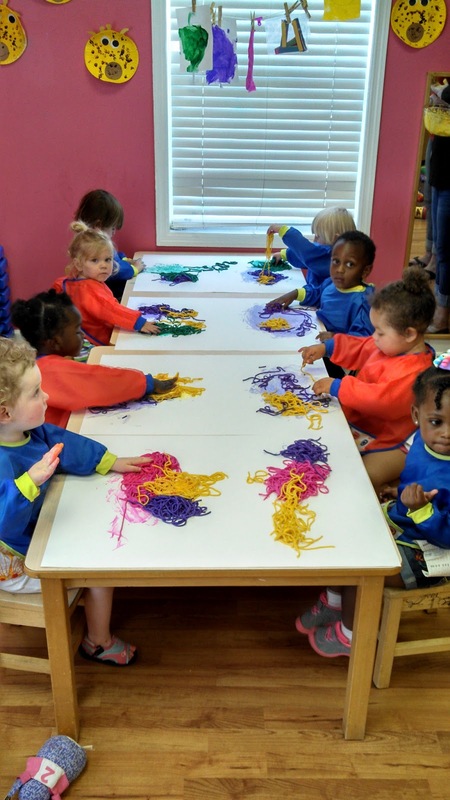 The mixed paint with cooked spaghetti noodles and then played in them to make some artwork! 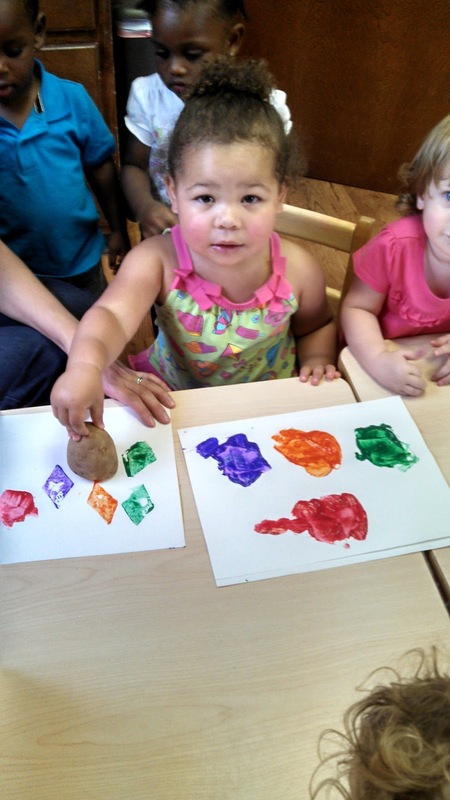 Using a potato, they stamped the shape of the week (diamond) that had been cut into the potato. Every week, we do one cooking project throughout the school but of course, we had multiple projects going on this week! 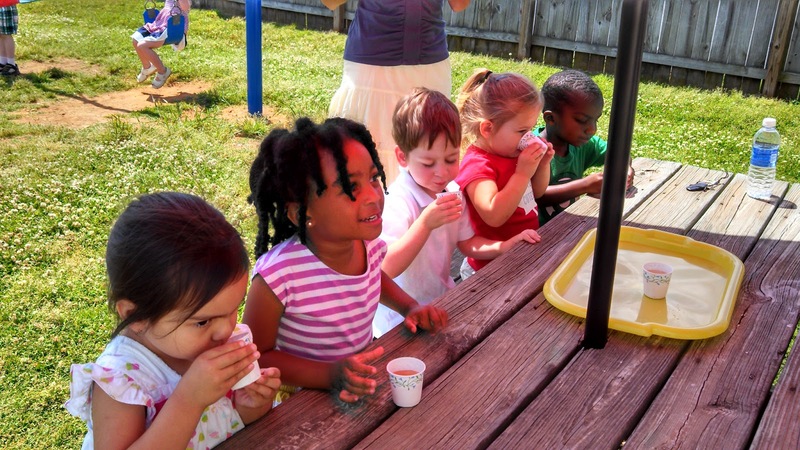 To beat the heat, the 3 year olds made their own slushies to enjoy on the playground! Our school wide cooking project was Mini Pizzas. The children used biscuits for the dough and rolled it out flat. They then spread their pizza sauce and sprinkled the cheese. Mrs. Renee was nice enough to bake them just perfect! Our week wouldn't be complete without a fun game! 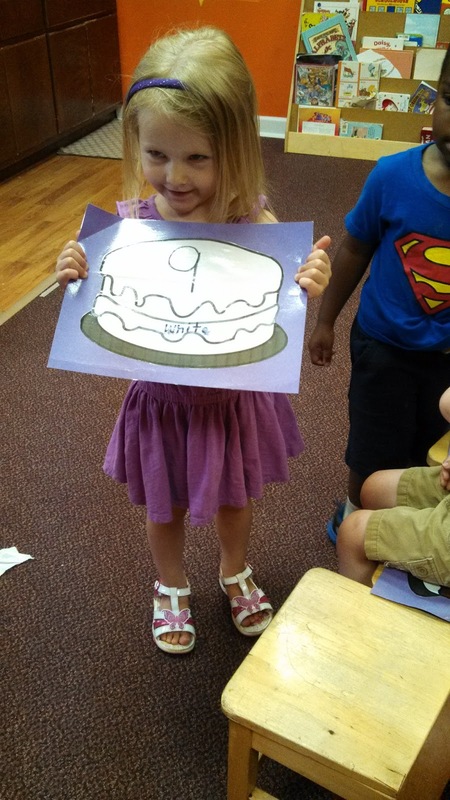 A cake walk in which the children had to name the color and number on their cake was a big hit in one of the classrooms! Before the seasons actually change, we need to learn all about Summer! We talked about how the temperatures change, how quickly ice melts, and how important fans are to try to keep us cool! 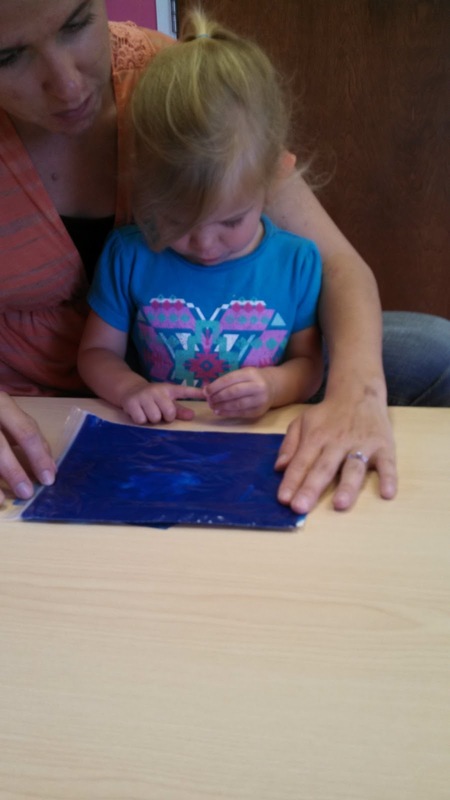 The children also discussed all the fun things we can do during the summer. 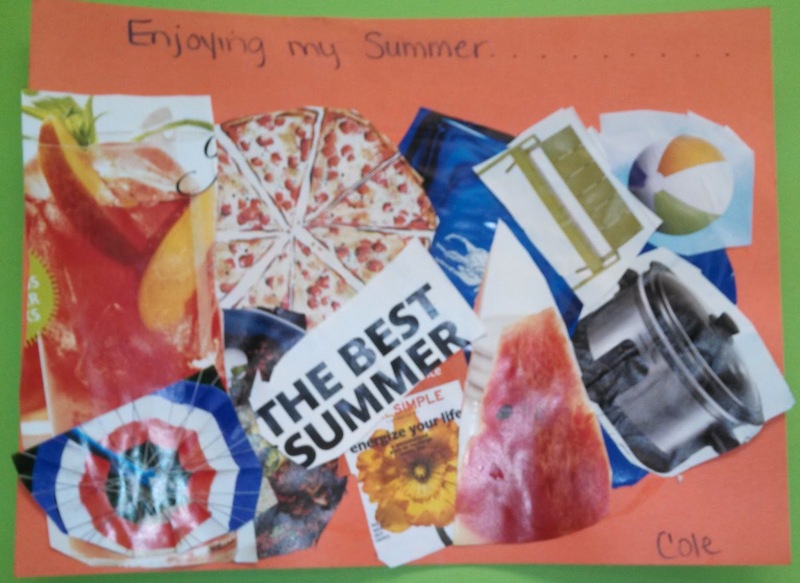 The children made a collage of things that they can enjoy in the summer. Building sand castles is always fun in the sun! We made Sunshine Cookies for our cooking project this week as we learned more about the hot sun. 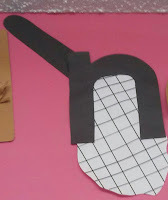 Our letter of the week was "n", so some classes made "n is for net". It's getting closer and closer to our Summer Program! 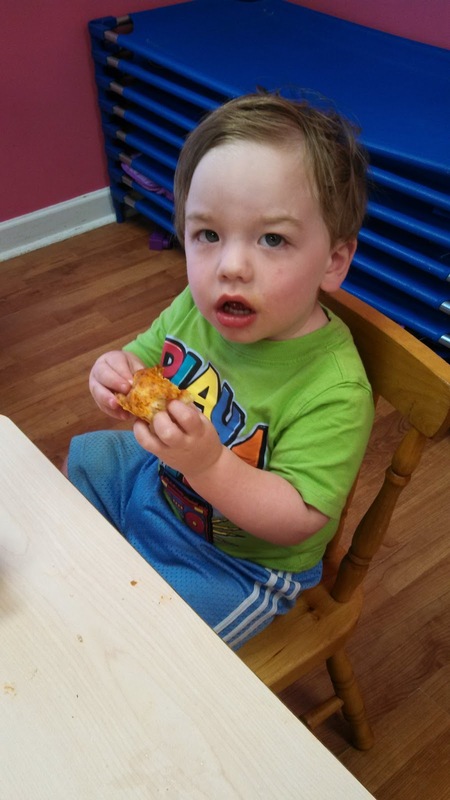 We know we will have a great Summer here at Sunflower Station Preschool and we hope you do too! As Summer is right around the corner, it's time to head to the ocean! This week we are diving into the sea by talking about all the animals you might see as well as what makes the ocean water different from lake water. The children did lots of activities this week that were science driven. 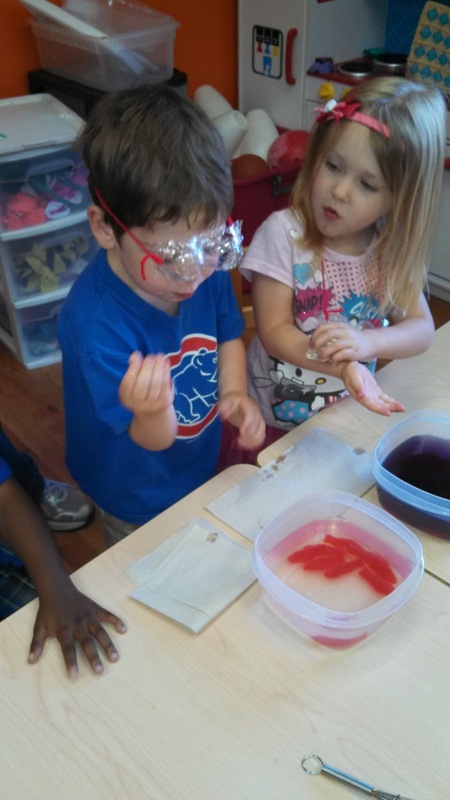 While wearing their sea goggles they made, they tasted the difference between Swedish Fish in salty water and just blue tap water. Their faces were funny to watch! The little ones enjoyed searching for the fish and shells underneath the "ocean". 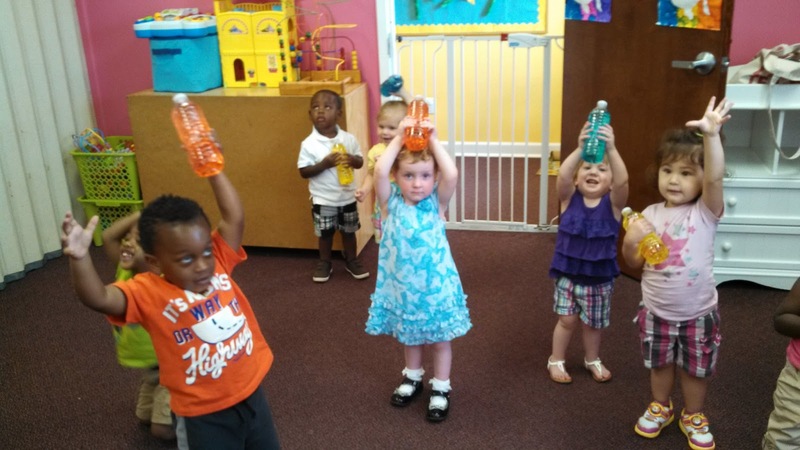 Shaking up their Ocean Discovery Bottles! 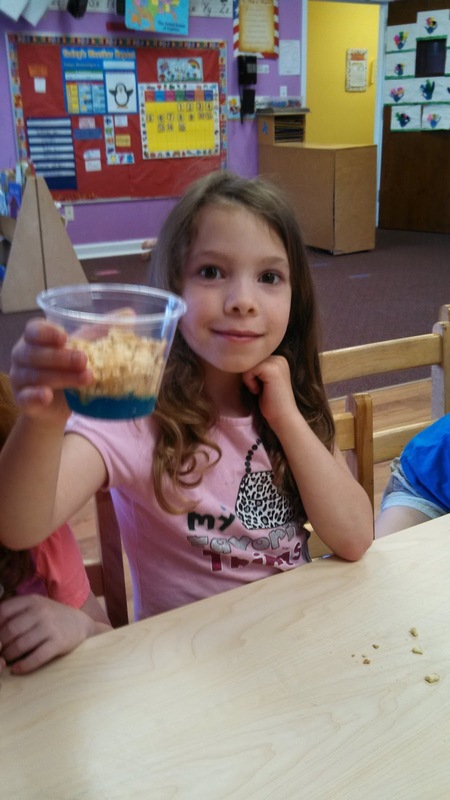 Our cooking project this week was called "Ocean in a Cup". 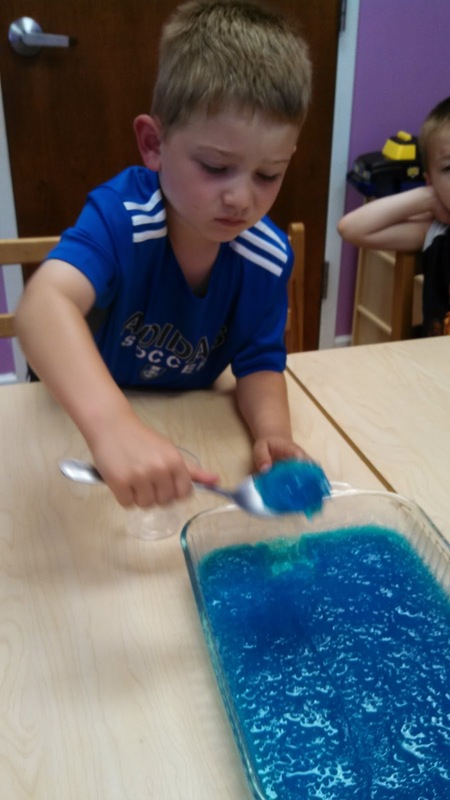 The children made blue jello in the morning and then let it set throughout the day. 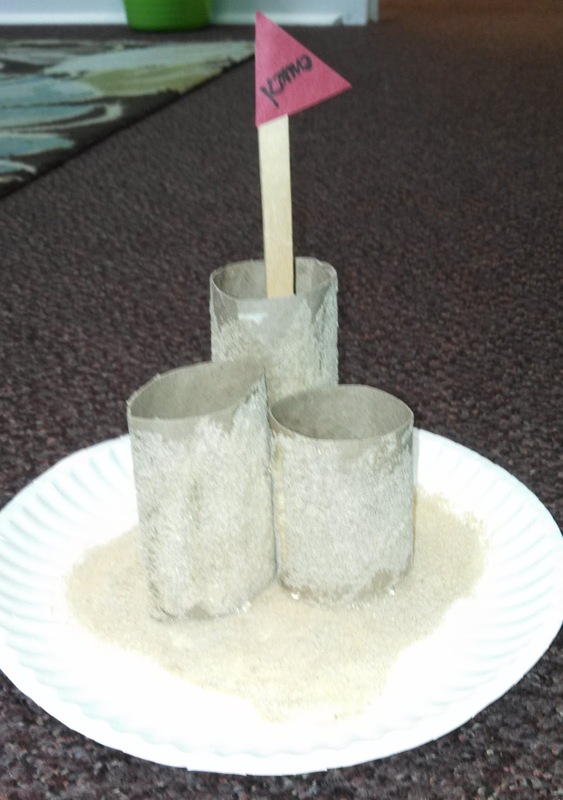 Then they scooped out the jello and crushed up Nilla Wafers into their cup to show the ocean and the sand. They looked pretty delicious! Welcome to the ZOO! At least that's what it feels like around here some days! 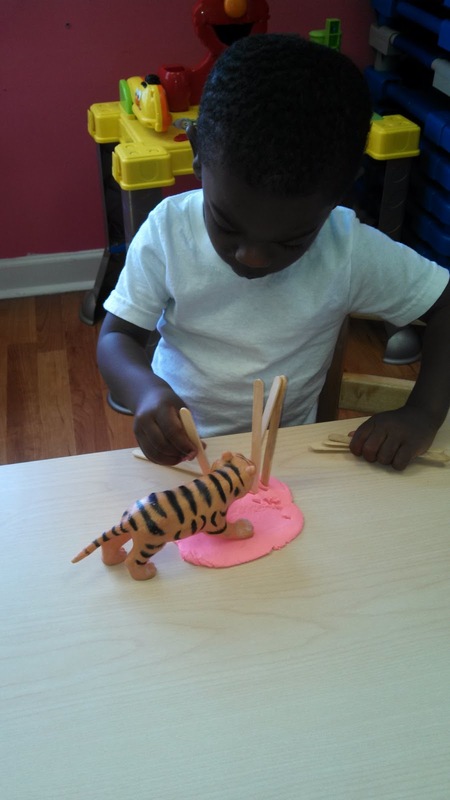 This week, we pretended to take a trip to the zoo. 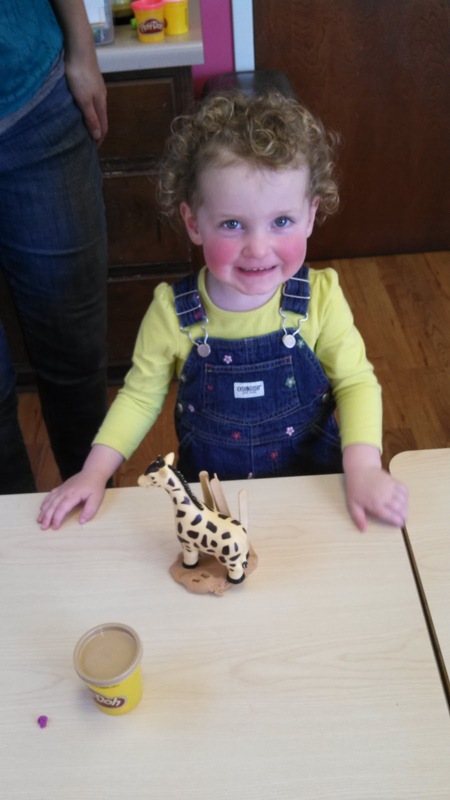 The children talked about all the different animals that you might see at the zoo. They even made masks to look like the different animals and tried to act like each one. We also practiced patterns this week with animals that have stripes and those that have spots. As we thought about these different animals, we discussed the habitats that they might live in. The children had fun using some play animals and trying to make a home for them. It's one of our favorite weeks- SPACE! We always have so much fun learning about outer space and pretending to be Astronauts. 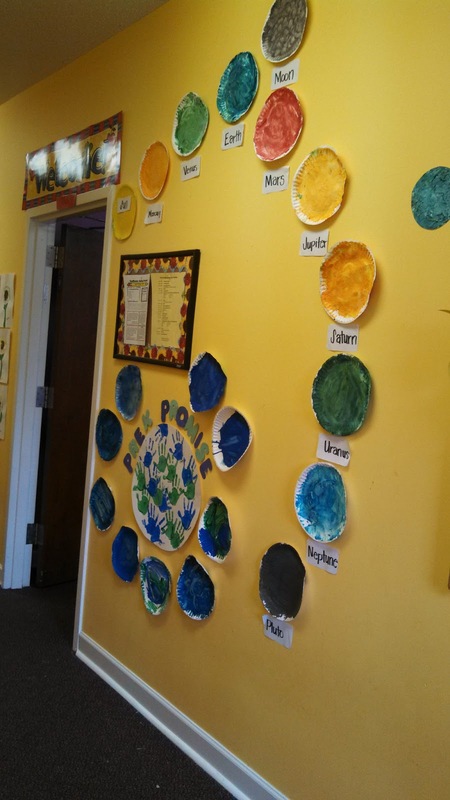 This week, the children made their own planets but also each class painted and decorated some Styrofoam balls to make the planets for our school wide Solar System that you see hanging down our hallway. Solar System right outside their classroom! 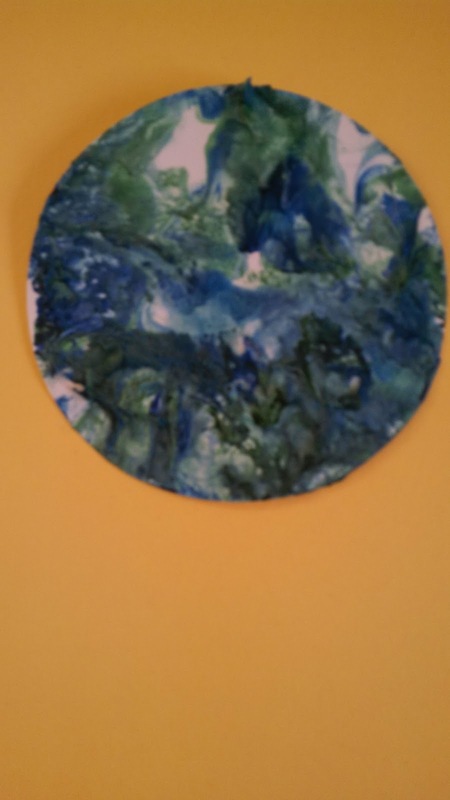 They used a coffee filter and water paint to make Earth! 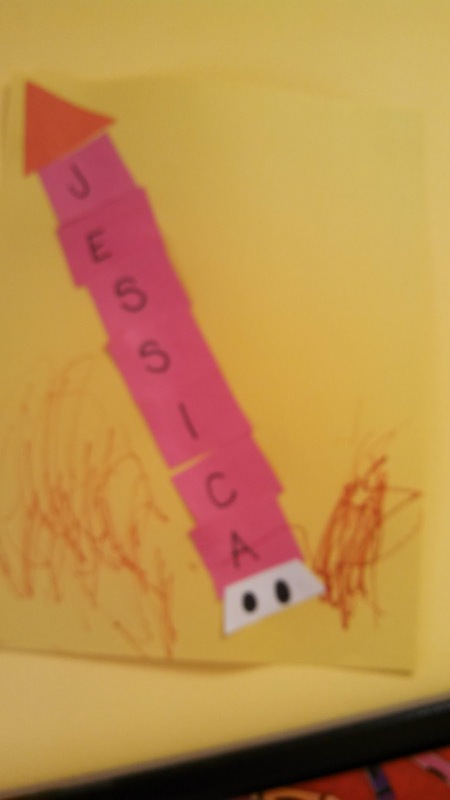 We also talked about rockets so the children turned their names into rockets! This was a great, fun way to practice our names! Our cooking project was "Rocket Dogs" which were hot dogs made to look like rockets. 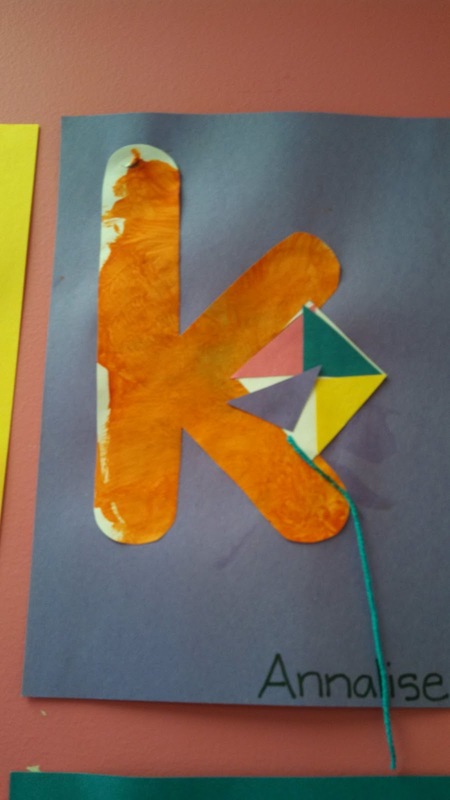 Our letter of the week was "k" so some of the classes made "k is for kite" while others did "k is for koala". We can't forget about our color of the week as well! The 2 year old class made a collage of red items they found! As you can see, our kids are OUT OF THIS WORLD!! !